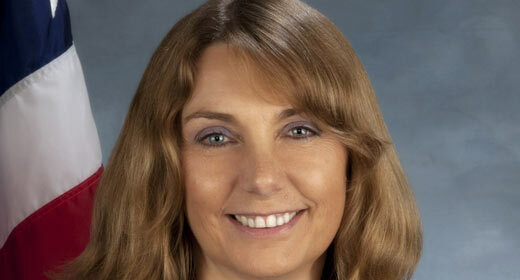 The Ford School is pleased to welcome new Diplomat in Residence (DIR), Michelle Jones, for the 2013-14 academic year. Jones is a seasoned Foreign Service officer whose most recent post was in Kabul, Afghanistan, where she oversaw the Fulbright academic and International Visitors Leadership programs and 18 Lincoln Learning Centers throughout the country. Previously, Jones served as consul and principal officer at the U.S. Consulate in Winnipeg, Canada, and as public affairs officer at the U.S. Embassy in Trinidad and Tobago where she was senior advisor to the ambassador and embassy spokesperson. She has also held posts in Bangladesh and Poland. She speaks Polish, Spanish, and Dari (Persian Farsi). Before joining the Foreign Service, Jones was associate professor of English at Muskingum College in New Concord, Ohio, where she taught twentieth-century British and American literature and founded the Women's Resource Center. Diplomats in Residence are Foreign Service officers who guide and advise students, professionals, and members of the community on Foreign and Civil Service careers, fellowships, and internships. Jones follows predecessor James Ellickson-Brown, who joined the Ford School as DIR in 2011 and immediately made his presence felt among the students, in student meetings as well as in "Meet the Diplomat in Residence" talks sponsored by Graduate Career Services (GCS). "That one-on-one connection is extremely valuable to gain insight on the Foreign Service and for students to understand that they can achieve it. Jim has been extremely invested in the students who have expressed an interest in working for the State Department," said Jennifer Niggemeier, director of GCS. New Ford School alumnus Andrew Bracken (MPP '13) agrees. When he began thinking about the State Department during his first year at the Ford School, he met with Ellickson-Brown, who served as an invaluable resource. "He went over the Foreign Service exam step by step," says Bracken. "Jim has been instrumental in my passing the oral assessment. He was there every step of the way." The Ford School is one of only 16 schools selected by the State Department to host a Diplomat in Residence (DIR), who serves the Ford School, the broader U-M community, and a number of educational institutions in Michigan, Ohio, and Kentucky.